Elizabeth Peña appeared in many movies and TV shows over the years, but she will probably be most remembered for her starring roles in La Bamba, Resurrection Boulevard, Lone Star, and Jacob’s Ladder, as well as for her part in Modern Family. Elisabeth died a couple of weeks ago (October 14, 2014) at Cedars-Sinai Medical Center in Los Angeles; it has just been revealed that she died from liver cirrhosis. 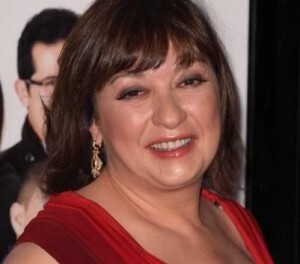 Elizabeth Peña was born in New Jersey to Cuban immigrant parents. She attended the High School of Performing Arts in New York, which is where she met many friends who she would later work with in film. She got her first major role in 1979, at age 19, when she appeared in the movie El Supper. She continued to star in movies and TV shows right up to the time of her death. Her most recent work has been in the TV series Matador in which she appeared in seven episodes. It will likely come as a surprise to many people to discover that Elizabeth Peña was an alcoholic. She did a reasonably good job of keeping her career and addiction separate, which explains how she was able to continue finding new roles right up until the end. Elizabeth could have been described as a high functioning alcoholic because her decline was unnoticed for so long. High functioning alcoholics can be in a particularly precarious position because they often do not have the same motivation to stop as others do. Elizabeth may have believed that the fact her career was still ticking over and that she was able to keep her drinking out of the public domain meant she was doing okay. The reality is that her drinking was killing her, but she probably did not fully appreciate this until it was too late. Liver cirrhosis is a type of scaring that occurs to the liver. This organ has an amazing ability to rejuvenate but, once a certain amount of the liver is damaged (about 50 per cent) by scarring, it is no longer able to heal itself. It is not possible to survive long without a liver because it is needed for so many functions, including cleaning blood, storing nutrients, and metabolising drugs. Liver cirrhosis introduces the final stage of alcoholic liver disease, but the condition usually develops over a number of years. There are typically no symptoms during the early stages, so by the time the symptoms do become obvious it is often too late. Some people do have blood tests that reveal their liver is in trouble, but this usually happens because of investigations for some other medical problem – unless the individual specifically asks for his or her liver to be checked. The first stage of alcoholic liver disease is known as fatty liver, which can occur after just one night of heavy drinking. If the person continues to abuse alcohol, it will lead to scarring that will eventually become so damaging that the liver is no longer able to function as it should. By this stage, the only real hope for the person is a liver transplant. The exact cause of Elizabeth Peña’s death was cardiopulmonary arrest. It occurred because she was having a gastrointestinal bleed due to her liver cirrhosis – scarring prevents blood from flowing as it should through the liver, leading to increased pressure in the blood vessels, which can then cause a rupture and profuse bleeding.